Poetry is a delightful tool for helping homeschoolers learn to communicate powerfully. Writing poetry teaches teens to use their words powerfully, concisely, and beautifully- a useful thing for those who want to learn to communicate their faith well or write a sparkling college essay. 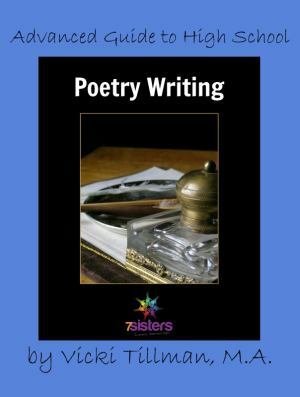 For the homeschooler who is ready for additional poetry writing experience, Advanced Guide to High School Poetry Writing is an enjoyable way to build with the power and fun of words. Creativity flourishes with poetry writing in high school! Presented in a user-friendly, conversational manner with no-busy work but lots of good examples, this guide makes it easy for high schoolers to complete their poetry writing assignments with little or no help. Poetry Writing in High School!